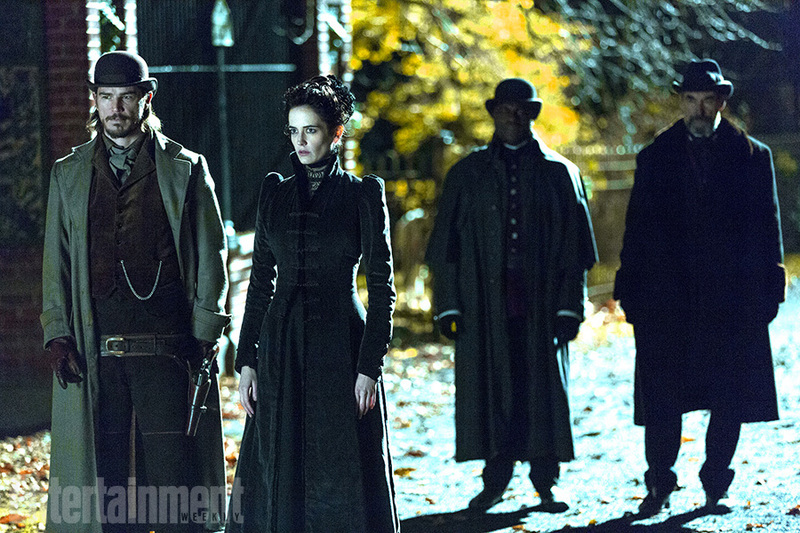 "The body you brought me is not strictly human…"
Showtime has released another spot and photo for their creepy looking horror series Penny Dreadful. The promo is set in a dark cellar with a conversation revolving around science and the supernatural, and about some creature on the loose. As the camera pulls back it reveals some bloody shackles on the ground. This show has so much awesome potential, and I think they are going to pull off another fantastic series! In Penny Dreadful, some of literature's most famously terrifying characters -- including Dr. Frankenstein, Dorian Gray and iconic figures from the novel Dracula, all brilliantly reimagined in a whole new light -- have become embroiled in Victorian London. The series stars Josh Hartnett (Black Hawk Down), Eva Green (Casino Royale), Timothy Dalton(The Living Daylights and License to Kill), Reeve Carney(Spider-Man: Turn Off the Dark), Rory Kinnear (Skyfall),Harry Treadaway (The Lone Ranger), Billie Piper (Doctor Who, Secret Diary of a Call Girl), and Danny Sapani (The Bill). Skyfall's John Logan has written all eight episodes of the first season with Sam Mendes, who is also executive producing. The first two episodes are being helmed by director Juan Antonio Bayona (The Orphanage).